Link up: Staying relevant on the go. 1. 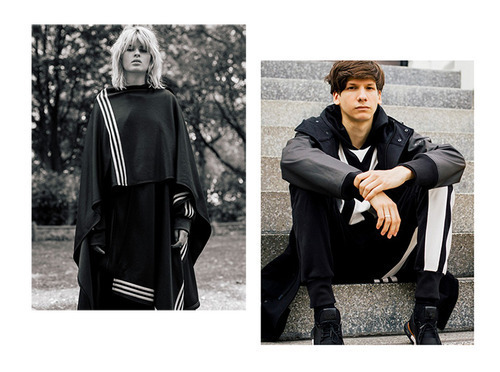 Check out this Dazed And Confused editorial for Y-3’s Adidas collaboration collection. Staying relevant on the go. 1. Sky Ferreira’s new music video for slow-burn pop song “I Blame Myself” is an interactive video that also lets you shop the looks worn by the artist. 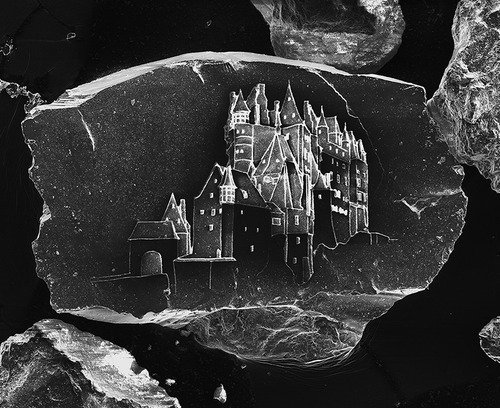 Artist Vik Muniz teamed up with artist and MIT researcher Marcelo Coelho to create a series of the tiniest sandcastles etched onto single grains of sand. 1. The Yves Saint Laurent biopic hit the theaters in the UK this week. 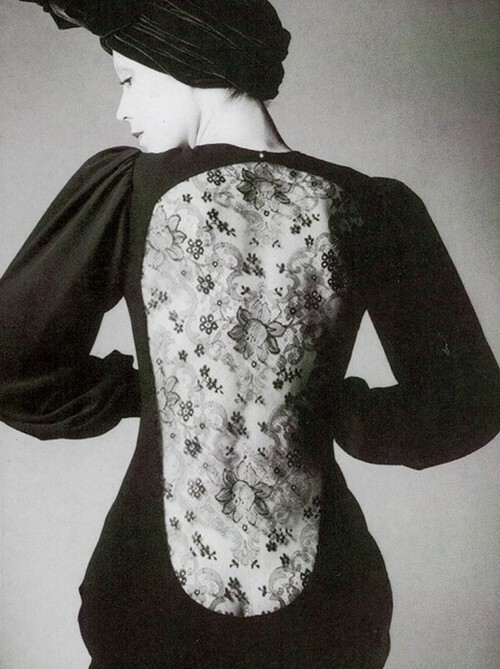 It doesn’t have to be #TBT for a blast from the past, so read up on the legendary designer via this piece from Dazed Confused Magazine. 1. Dutch paintings-meets-fashion? 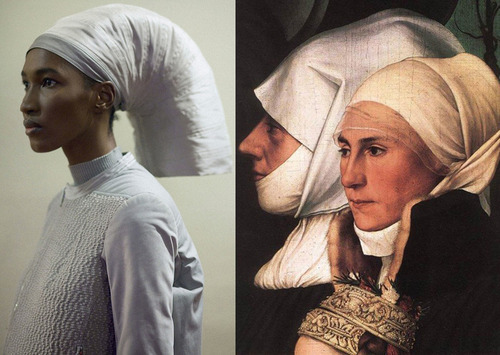 Another Magazine has a look at the similarities between the headpieces in 15th and 16th century Dutch portraiture and the headgear at the Rick Owens and Maison Martin Margiela FW14 runway shows. 1. 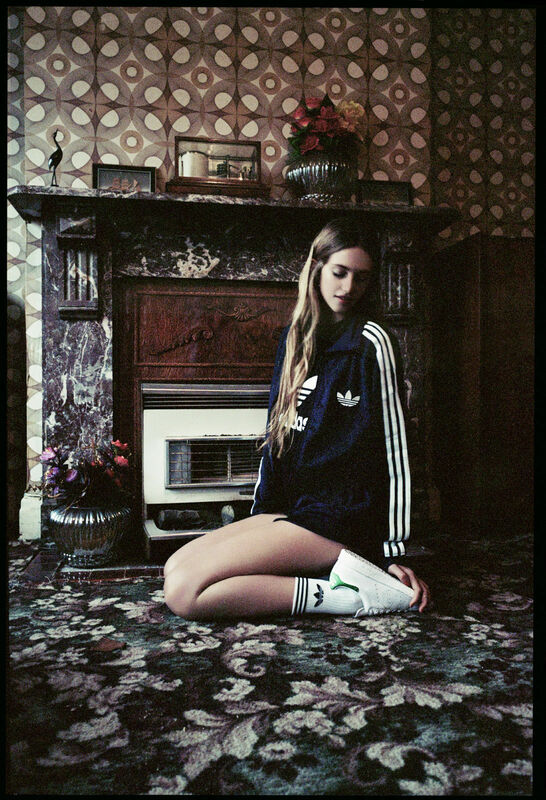 Adidas collaborates with photographer Bella Howard and stylist Pandora Lennard for the re-launch of the iconic 1970s-era Stan Smith trainers. Given the recent wave of high-fashion sneakers, it’s no surprise that the photographs showcase the trainers’ feminine flair.